While there’s inevitably a sombre undertone bearing in mind guitarist Stuart Adamson’s sad passing 15 years ago, it’s fair to say Richard Jobson is relishing the chance to relive his youth while charting new territory with a reborn Skids outfit. 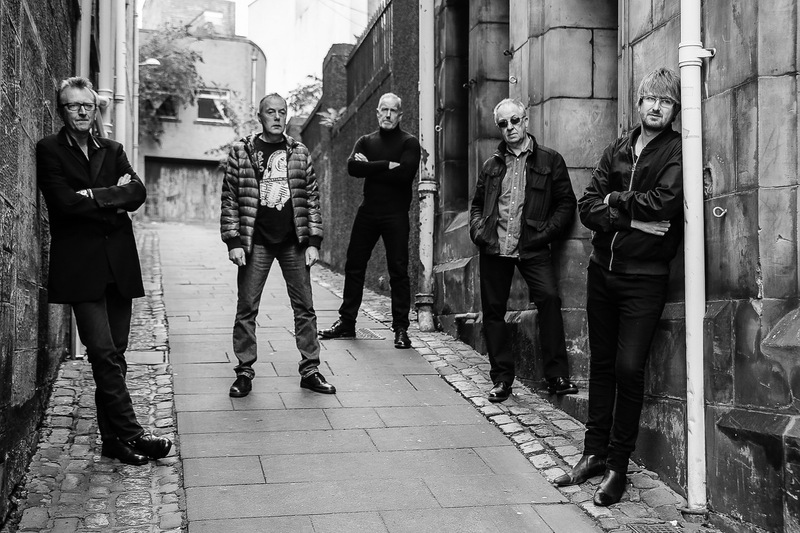 Some 40 years after this influential Scottish punk and new wave combo formed in their hometown of Dunfermline, Jobson and fellow survivor Bill Simpson (bass) are back in tow in a five-piece version of the band, joined by drummer Mike Baillie, who joined in 1980, and father and son guitar duo Bruce and Jamie Watson, on loan from Big Country. 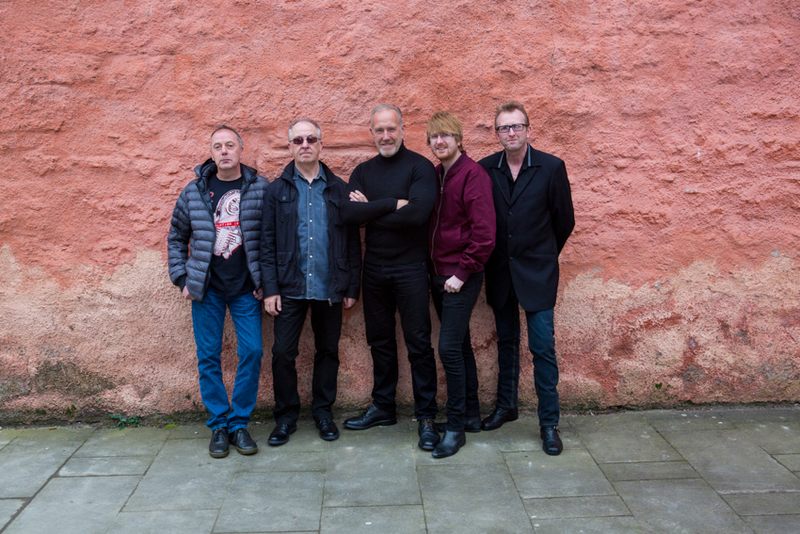 And not only are they hitting the road for a UK tour, but they’re also working on a brand new album, Burning Cities, their first since 1981, the lead singer determined the outfit should not be seen as just another ‘heritage band’. But first, let’s go back a bit, success coming fairly fast for the original line-up, interest from legendary DJ John Peel leading to prestigious early support slots with The Clash and Buzzcocks, the band going on to sign to Virgin Records in 1978. 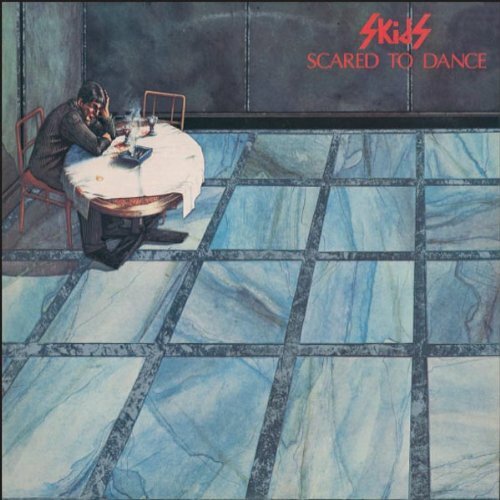 While late ’78 singles Sweet Surburbia and The Saints are Coming helped them carve their niche, their first proper hit was Into the Valley, the second 45 from debut LP Scared to Dance and the first I heard. I still can’t resist its wonderful intro, that single followed into the top-40 by Masquerade, Charade and Working for the Yankee Dollar before 1979 was out. 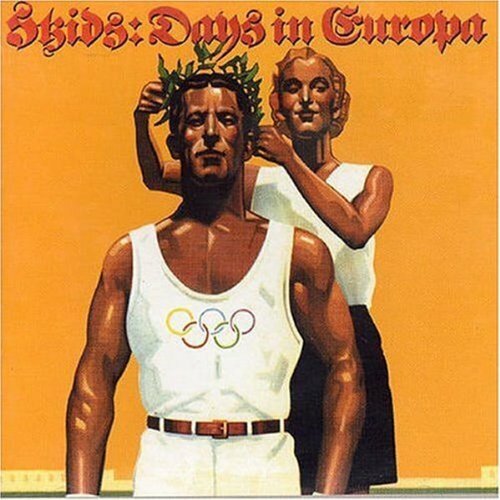 While first time around I never owned a Skids record, I recall the excitement of borrowing the cassette version of the Bill Nelson-produced, Rockfield Studios-recorded second LP, Days in Europa (in its memorable first edition cover format, an Aryan-type image bringing to mind the 1936 Olympics, complete with Gothic-style, Germanic lettering) from a Surrey County Council travelling library van parked at the end of my road in Shalford, barely a three-minute walk from the scout hut previously used as a practise venue by The Stranglers, for whom the Skids opened on an autumn ’78 tour, Bill Simpson even suggesting JJ Burnel wanted to produce their first album. Anyway, I digress. I was barely 12 at the time, but remember getting that in the tape deck back home, opening track Animation transporting me back to that moment. 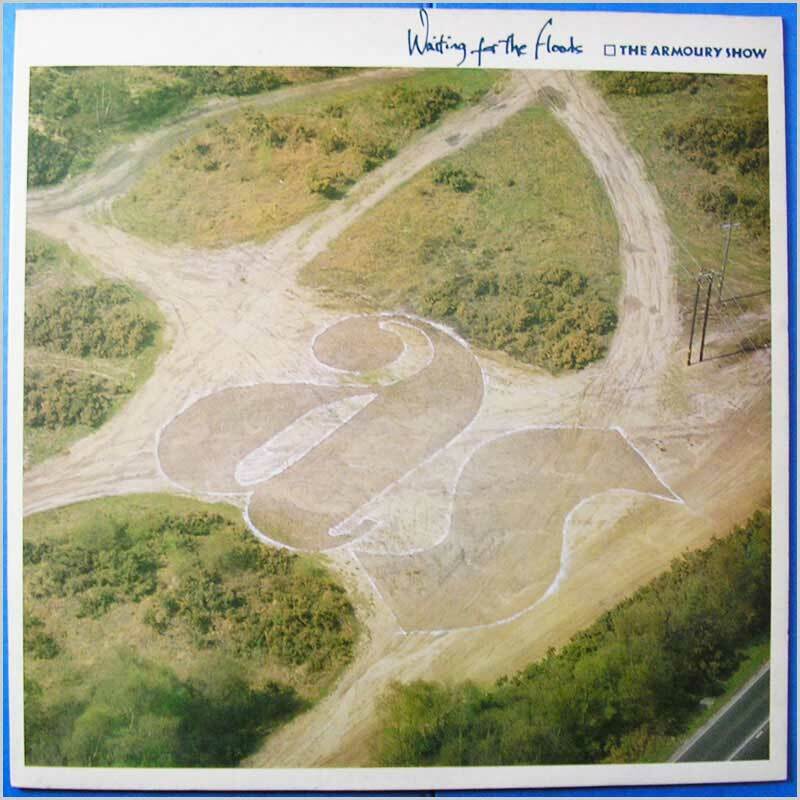 In time it all came to an end, third album The Absolute Game in 1980 the last with Stuart Adamson, who went on to worldwide success with Big Country while Richard Jobson and a new-look band made one more, late 1981’s Joy, before he embarked on his next project, The Armoury Show. 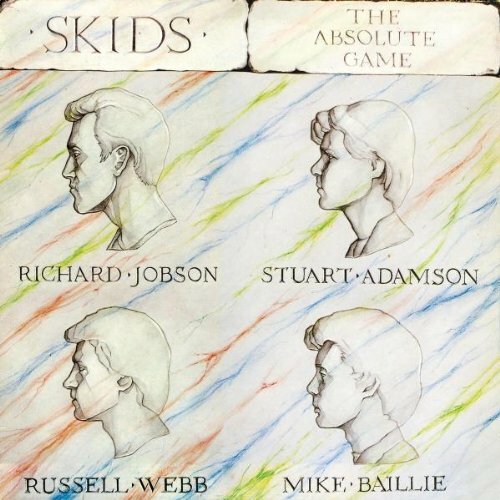 But the Skids have occasionally got back together since Adamson’s death in late 2001, most notably in 2007 to celebrate the band’s 30th anniversary at Strathallan’s T in the Park and for two nights at the Glen Pavilion in Dunfermline (where they return in late June), leading – via 2009 and 2010 shows – to this current 40th anniversary tour, their biggest collection of dates since reforming. Post-split, father-of-two Jobson made his name in other areas, ultimately as a film-maker but also as a poet, TV presenter and even a model. But he was back in Dunfermline when we spoke, rehearsing in the town where the story began. So is it good to be getting back out there? “Yeah, first of all we were going to do a few gigs to mark this anniversary, but got offered an awful lot more, which slightly concerned me – I didn’t want to be like all those other old bands doing nostalgia trips and heritage trails. While some of the band remain in Fife, Richard lives in Bedfordshire these days, having been born in Kirkcaldy, grown up in Ballingry, Fife, this son of a miner and docker at Rosyth also spending time in Berlin. Soon we were talking about his hometown football team, the Pars, and past visits to East End Park, my interviewee telling me how he’d gravitated towards German second division outfit St Pauli these days. Will there be a pilgrimage to the Bellville Hotel in Pilmuir Street this August to mark 40 years since the Skids’ very first gig? Is there a blue plaque outside? We talk briefly about other Dunfermline acts too. Wasn’t The Rezillos’ Fay Fife a local lass? The Rezillos sprang from Edinburgh’s art scene. Were you also expected to cross the Forth Road Bridge to make your name? Now you mention it, we saw that particularly in his later days with Big Country, but I guess it was always there. Within a few months of forming, John Peel’s patronage led to the Skids scoring a prestigious support with The Clash in Dunfermline in late October ’77 at the Kinema Ballroom, the bill also including Richard Hell and the Voidoids and The Lou’s. Have you clear memories of that evening? Living the dream, I guess. Their first landmark album had been out a few months by then. I always got the impression Joe Strummer was good at talking to people, with no stand-offish nature. Then that next month you supported the Buzzcocks in Edinburgh. And when did you last listen to the independent EP, Charles, that initially brought you to John Peel’s attention and ultimately led to that wider appeal? “I haven’t since we made it. It’s the same with all the books and films I’ve made. I’ve never seen 16 Years of Alcohol since the premiere. People say very nice things but I’m not interested in watching it again. I just move on. “But while this project is revisiting the songs, in a funny kind of way they’re sounding like they were supposed to in the beginning. In many ways what was lacking was that Stuart played rhythm and lead guitar on the recordings. In a sense you had to wait for Bruce Watson – the Skids fan who wen ton to play alongside Adamson in Big Country – to have a child before you could reconvene though. Did you send that first single (on the No Bad label created by Dunfermline music shop owner turned manager Sandy Muir) to John Peel? “I can’t actually remember who sent it. It might have been us. Of course, people were doing that every day, but it was an amazing thing. John Peel was our connection to what was going on in the rest of the country, introducing us to new music and wonderful things we might not have heard. To hear Television and the Banshees, then hear Charles played was extraordinary. “We were very proud. I guess our generation didn’t measure success by finance but by getting to make things. That seems to have changed now. The creative process seems less important. I totted up five BBC Radio 1 sessions for John Peel (May and August ‘78, February and May ’79, and September ‘80). And listening back, tracks like ‘79’s Walk on the Wild Side remain so fresh 38 years later. Will you play your cult Coronation Street tribute TV Stars while on Weatherfield’s doorstep at the 02 Ritz in Whitworth Street, Manchester (Friday, June 2nd, £22.50 advance, 0161 236 4355 or via here)? “I think somehow we’ll get to that at some point in the evening! It was a kind of joke at the time, having a laugh in rehearsals. TV in that era was something that was watched by so many people, and we all grew up with Coronation Street. “What’s more, we went to Manchester as The Skids when we were kids, before we went to London actually, not long after we formed, playing in a club called The Ranch, just off Piccadilly. It didn’t open until after midnight and we supported a Manchester punk band called Slaughter and the Dogs. A really strange place, a cult place, and earlier that day we played on the roof of the Virgin store. I’m a bit confused there. Richard suggested that date was in early ’77, but that would even pre-date the Pilmuir Street debut. In fact, on the band’s website their first technician, Clive Ford, seems to tell a different version, suggesting a plan to ambush a Rezillos gig in Rafters in Manchester, the band’s low billing meaning they played ‘to about eight people’. He adds, ‘The following day we tried to play a gig at the Virgin store, it nearly happened but the manager chickened out’, their entourage ending up ‘in a club getting drunk with one Rossi from Slaughter & the Dogs’. It’s understandable if the memories are slightly mixed up. For one thing, Richard was barely 16 when he joined the band. And he’s been far from idle in the time since the Skids called it a day. In fact, he has two grown-up children, his son fresh from doing his masters at university, studying cyber-terrorism, while his daughter, just turned 24, went down the art school route, ‘doing a more creative thing’. Stupid question, I know, but could he ever have imagined back in ’77 that the Skids would go on to have a 40th anniversary tour? I mean, rock’n’roll itself was barely in its 20s at that point. Is everything else on hold for now then? Thinking of this line-up with you on this tour, Bill Simpson was there from the start with Stuart, the pair having met in high school in Cowdenbeath. Did you hit it off with the two of them straightaway? Did Richard stay in touch with Bill over the years? And Mike Baillie came in for The Absolute Game, didn’t he? “He did, and was a friend of ours anyway, a fan of the band, hanging around with us as a kid, and we kept in touch. It was a close-knit community and we kind of grew up together through music, which pulled us all together. Before punk happened there wasn’t a unifying sound. Early Days: The Skids, way back. 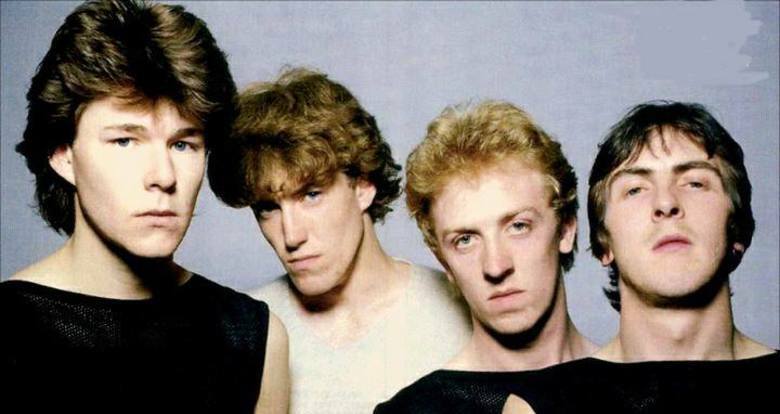 From left – Bill Simpson, Richard Jobson, Stuart Adamson, Thomas Kellichan. When I interviewed Bruce Watson three years ago for this website (with a link here) he suggested the catalyst for the reunion was U2 and Green Day tackling The Saints Are Coming for a charity single in 2006 (to help tackle the devastating aftermath of Hurricane Katrina). Could that rebirth have happened even five years earlier? “Well, with Bruce it made sense, a musical person I would get on with who could really deliver the goods, with no secondary issues. And it was mainly one-offs so wasn’t financially driven. We didn’t make any money. We did it for the sheer love if it. You’ve always had that work ethic.What did your folks make of your move into the music business in the first place? “I think they were quite shocked, coming from a pretty old-fashioned working-class family, with five boys. But my eldest brother was a unique guy. That helped. They tried to control him and it hadn’t worked. He became a bit of a rebel. Unfortunately he’s dead now, but was a big influence on me and was listening to music that he fed into my life, like MC5 and Iggy Pop, the New York Dolls and crazy stuff like Captain Beefheart and Frank Zappa – music others weren’t listening to. Charades Anyone? OK, maybe not. The Skids go for the moody look. You kept your hand in with your poetry though, didn’t you? Back in the early days was it like a Difford and Tilbrook thing, with you handing over scribbled notes and Stuart adding the chords? Was there animosity when Stuart went off and did his own thing? Did you get back in touch in later years? 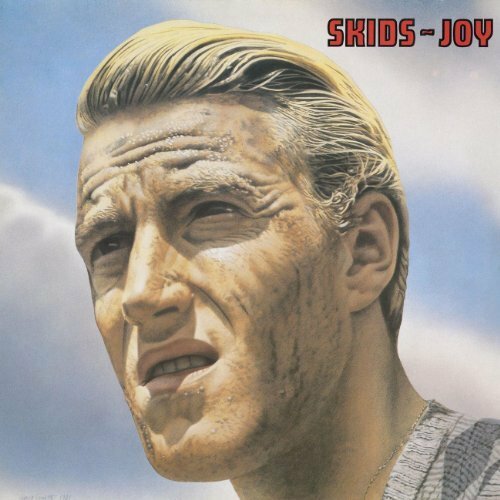 Finally, I ask, which Skids album, track or single is Richard most proud of? And that brings us full circle, this scribe telling his interviewee his own memories of the day he returned from the library with a copy of that very album. Sigh. There are also dates in August (Saturday 5th – Lagoon Arena, Charity Event, Paisley, Sunday 6th – The Rebellion Festival, Blackpool), September (Friday 1st – Rock City, Nottingham, Saturday 2nd – Midfest, Dalkeith), and October (Wednesday 4th – The Ironworks, Inverness, Thursday 5th – Beat Generator, Dundee, Friday 6th – Warehouse 23, Wakefield, Saturday 7th – The Great British Alternative Festival, Skegness). For full details and all the latest from the band, head to their official website here. And to find out about the band’s Burning Cities album project via Pledge Music, how to pre-order a copy, and other exclusive Skids offers, try here. You can also follow this link to an appreciation of the band from Michael Martin for the rather splendid Toppermost music fans’ website. This entry was posted in Books Films, TV & Radio, Music and tagged 16 Years of Alcohol, Big Country, Bill Simpson, Bruce Watson, Burning Cities, Buzzcocks, Coronation Street, Days in Europa, Dunfermline, Edinburgh, Fife, Hamburg, Into the Valley, John Peel, Manchester, Mike Baillie, Rezillos, Richard Jobson, Saddleworth, Skids, St Pauli, Stuart Adamson, The Armoury Show, The Clash. Bookmark the permalink. Kindred spirits somewhere down the line, Babbitman! Cheers as ever for your support.